Synopsis: A trio of black female soul singers cross over to the pop charts in the early 1960s, facing their own personal struggles along the way. Did You Know? Jennifer Hudson was the first American Idol contestant to win an Oscar. She was also the 16th actor to win an Oscar for their debut performance, as well as the 4th of (so far) 7 black actress to win an Oscar. When I first tried to watch this film in 2007, I couldn’t finish it because I thought it was horrible. This was back when I absolutely despised anything and everything about musicals; the only musical that I had ever liked was Chicago, because (at least in the film version) it all took place in Roxie Hart’s head. My mom, sister, and I made it about a half-hour through Dreamgirls before we threw in the towel and turned it off. 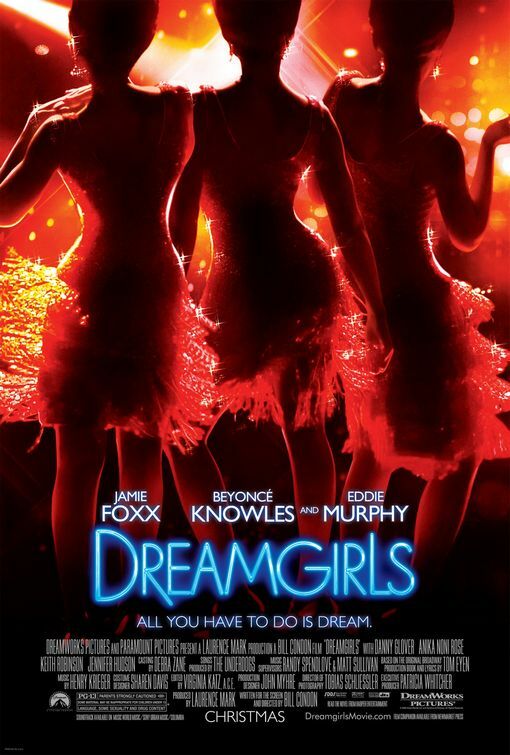 When I made my list of Oscar winners, I decided to include Dreamgirls because I didn’t feel like I gave it a fair chance all those years ago. And I’m so glad that I did. I was so wrapped up in thinking how ridiculous it was that they just bursting randomly into song, that I didn’t see the actual story. It’s a story about sexism, body image, and racism. All of these are issues rampant in not only Hollywood but also the world in general. Some people take it upon themselves to cruelly chastise people for their weight (whether too big or too small), to think them less than human if they’re any race but white, and to manipulate and objectify them if they are women. These issues are relevant to today, because they’re issues that I don’t think are ever going to go away unless we rapidly enlighten ourselves to the true problems. Jennifer Hudson’s rendition of “And I’m Telling You” is one of the most heart-wrenching performances I’ve ever seen, perhaps rivalled only by Beyoncé’s performance of “Listen” in the same film, and Anne Hathaway’s performance of “I Dreamed a Dream” in Les Misérables. Out of the other nominees for Best Supporting Actress of 2006, the only film I haven’t yet seen is Notes on a Scandal, but I can say with a certainty that Jennifer Hudson absolutely deserved the Oscar that year. That isn’t meant to say anything bad against Adriana Barraza and Rinko Kikuchi (both nominated for Babel), and Abigail Breslin (nominated for Little Miss Sunshine), because they were all excellent performances.